The iPod Classic features an all-metal exterior and is the first full-size iPod not offered in white. 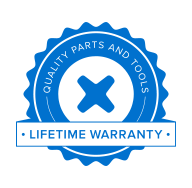 We carry parts for any repair, whether display, logic board, or anything else! We also offer free repair guides to enable you to fix it yourself!